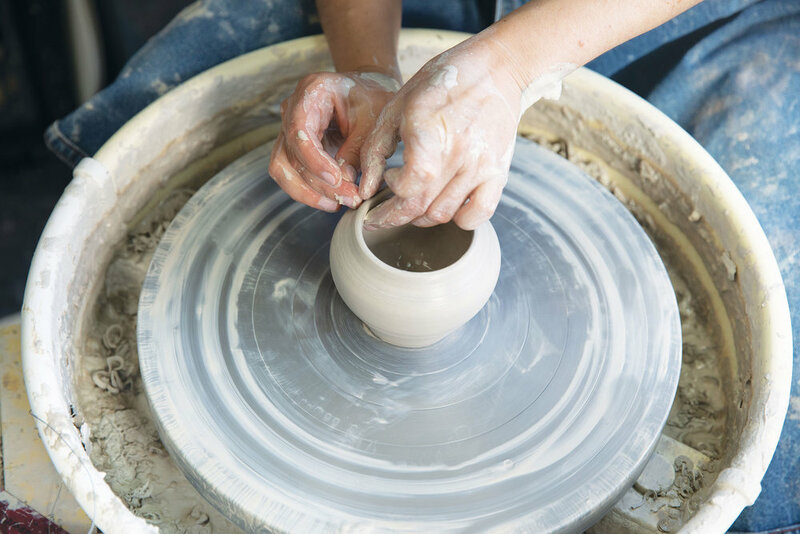 I made my first piece of pottery on the wheel when I was 9 years old and have thought of myself as a potter ever since. 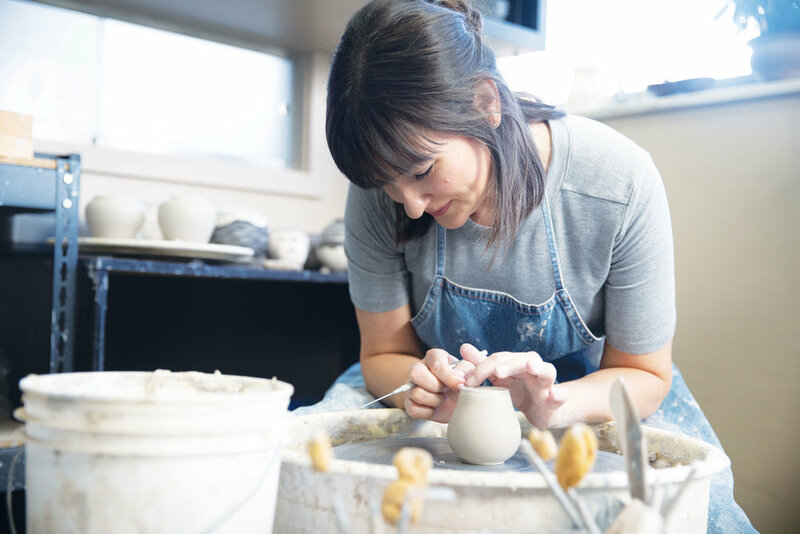 Years later, I was working in corporate sales and taking pottery classes as a hobby when I decided to take a chance. I quit my job, got a studio in an artist co-op, and started pursuing life as a full-time artist. Today, I exhibit my work in shows, fairs and galleries. I lead workshops and help others tap into the creativity that we all have. I'm in absolute awe of the blessings God has poured out on me and my business in such a very short time and am thrilled and grateful to make a living doing what I love. This opportunity is a constant reminder that dreams can come true if you have the courage to follow them. I love everything about pottery, but I’m most passionate about raku, an ancient Japanese pit firing technique. 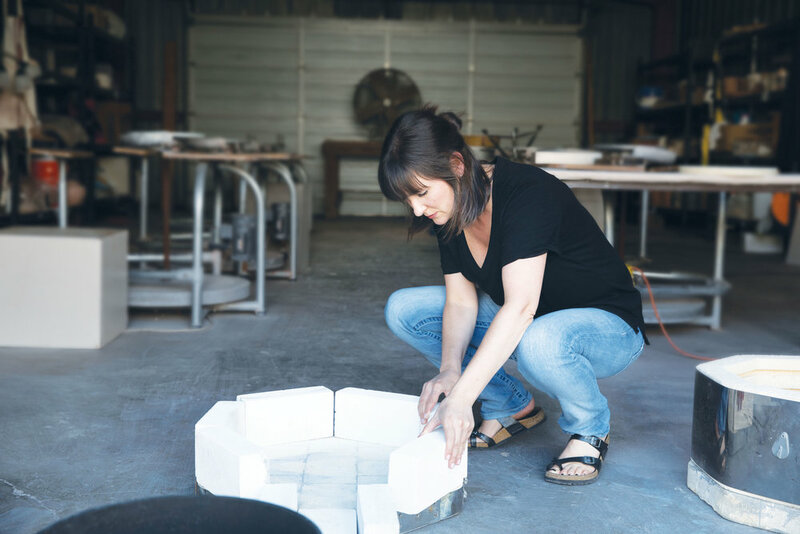 I work in both traditional and naked raku and enjoy every aspect of the firing process. Smoke and flame create unpredictable variation in the finished pieces, so there's always an element of surprise. Raku is unique in that it is an intimate firing process and I am directly involved in each and every step. I build my small kiln each time I fire, I mix my own glazes, and I nurture a piece through the fire. Even with all that time and attention, the way a piece turns out is always a surprise. The process is just as important to me as the finished product. I love the juxtaposition of clean lines and crisp details, with raw, rustic unpredictable process. It is exciting to be doing something new with such an ancient technique. In my work, I’m most interested in honoring quiet moments, images or textures that evoke a memory or connection. I want each and every piece I make to be its own small celebration. I come from a long line of makers, so beautiful, meaningful handmade objects are important to me. I want the objects I surround myself with to be about connection, to have a story and meaning, to celebrate the tiny details of life. That’s what I strive to create.